Welcome to Cerami AC & Heating! Everybody deserves a safe and comfortable home. If your air conditioning or heating system has broken down or stopped working properly, it is important to have a fully qualified HVAC contractor you can trust to perform the services you need quickly, affordably and reliably. 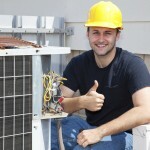 To schedule a fast HVAC maintenance or service appointment call the best HVAC contractor in Brandon, MS! Bringing affordable and smart air conditioning and heating solutions to both homes and businesses, our company is conveniently located in Brandon, MS.
HVAC services require skills and proper equipment, so when you need a new furnace system installed, your old AC repaired or your heating system maintained, let Cerami AC & Heating handle the task from start to finish. When you work with us, you'll have a dedicated AC and heating contractor available to answer any questions that arise before, through and after the service. So pick up the phone and call us today to schedule an appointment for an on-site estimate. 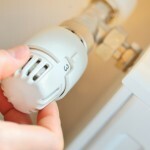 We know that your AC and heating systems don't always pick the most convenient times to break down. That's why we are available for an emergency service on weekends. Our qualified experts can accurately diagnose just about any issues to get your home or office comfortable again. When the heating or AC is not functioning properly, the last thing you want to do is lose your cool with an air conditioner or heating contractor who charged too much for inferior services. While some HVAC contractors are just concerned about their bottom line, we're concerned about your bottom line. We are here to bring the best quality, competitive pricing and workmanship in cooling and heating to both residential and commercial clients in Brandon, MS! There are alternative methods of space cooling to traditional refrigerant-based AC that we also include in our itinerary of installation, maintenance and repair services. The most popular of these is the evaporative technology devices, often called swamp coolers. These low energy coolers come as fixed systems or portable units. The latter type often gets mislabelled as a "ventless or vent free portable air conditioner," but it really is not an AC device because there is no compressor or heat exchange (it cools by evaporation) and therefore there is no hot exhaust air to be vented. The misconception often arises because many people dislike the cumbersome vent hose that comes with portable AC units and when they see a swamp cooler producing an amazing cold breeze without the hose, they believe it's an AC. But we'll get that covered in a separate info article on this site. Cerami AC & Heating was an absolute pleasure to deal with. They have saved me a great amount of dollars by repairing my unit rather than replacing it. The whole heating system has been running perfectly ever since. I am very happy with their expert and timely service and I will not hesitate to recommend this company to someone in need. I was really happy with how fast the Cerami engineer came round to my house when I called for an emergency repair on my central aircon. He was courteous and worked very quickly to get my system working again and cool my overheated house down. The charge for the work was also pleasantly cheaper than I expected! If you are in need of a reliable and experienced heating & air conditioning contractor in Brandon, MS, you can rely on Cerami AC & Heating. Give us a call now at (601) 317-0729.